Tree stump tables have become very popular due to the Internet and a popular Saturday morning cooking show. The market appears to have been flooded with teak root , these have no real provenance and many have been sourced illegally from cleared land being used for palm oil trees, to avoid this simply buy British. 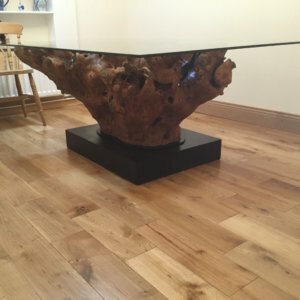 We have the most amazing timber in the world available right here, an amazing by product from this amazing timber is the fantastic root stock, with its twisted roots and mystical shapes, these can and do make the most amazing tree stump tables. this can then simply be lacquered to leave this very natural look, or we can finish with multiple coats of lacquer and polish to bring out the natural colour. 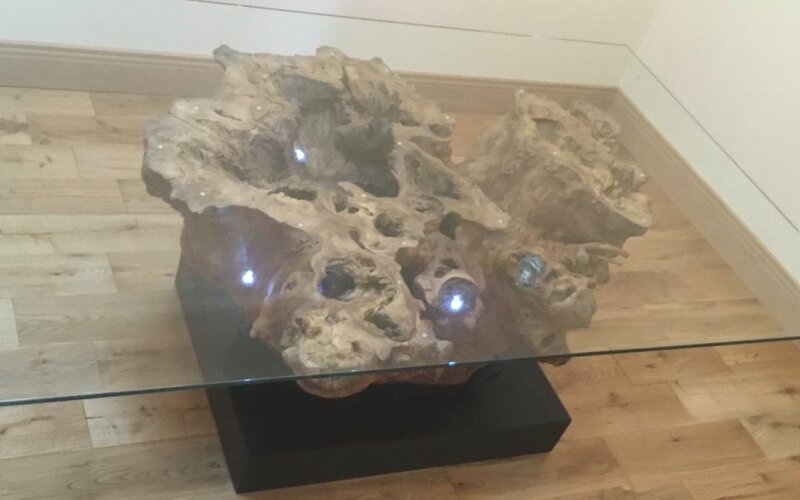 size of the glass is down to yourself, maybe a disc works for you or a rectangular slab of glass, the possibility with tree stump tables is endless. All our tree stumps are ethnically sourced this isn’t an over night process, but once we have found the right tree stump for you, one thing is certain, it will be totally individual to you and you alone. 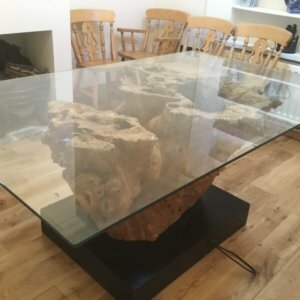 If interested in one of these tree stump tables then don’t look for foreign imports, look to unique Wild Wood furniture for a truly unique table.